Turkish President Recep Tayyip Erdogan has retracted on his statement that the Euphrates Shield Operation is to remove Syrian President Assad, and rather it is only to remove terrorist groups such as ISIS and the Kurdistan Workers Party-affiliated YPG. Erdogan on November 29 said that the Euphrates Shield Operation was to end Assad’s rule. 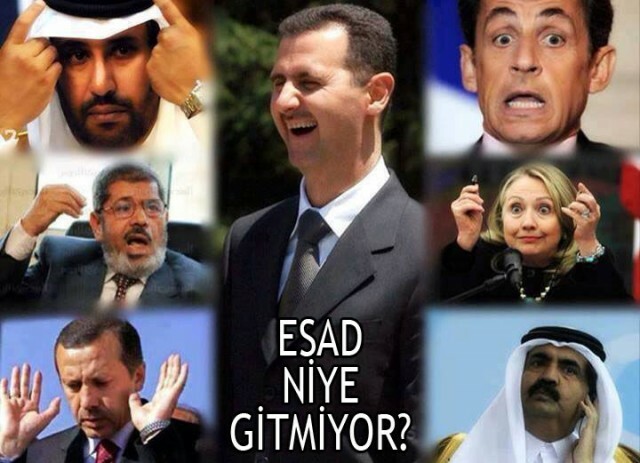 Turkish President, Recep Tayyip Erdogan, stated on Tuesday that his army entered Syria in order to end the reign of Syrian President, Bashar Al-Assad, and bring justice to Syrians. “Why did we enter? We do not have an eye on Syrian soil. The issue is to provide lands to their real owners. That is to say we are there for the establishment of justice. We entered there to end the rule of the tyrant al-Assad who terrorizes with state terror. [We didn’t enter] for any other reason,” Erdogan stated. Erdogan alleges nearly 1 million people have died in Syria, despite the fact no monitoring or humanitarian group has put the death toll this high. The Turkish Army illegally entered Syria in August 2016, claiming that they were focused on defeating the so-called “Islamic State of Iraq and Al-Sham” (ISIS) in northern Aleppo; this did not prove to be the case, as they have repeatedly attacked the Kurdish-led Syrian Democratic Forces (SDF) near the border. Acting US Administration is still trying to reach an agreement with Russia, given which siege of Aleppo would be stopped in return for division of the Syrian opposition and terror groups. As the Washington Post reported, with a reference to representatives in the State Department, namely John Kerry, the Secretary of State, is dealing with it. He keeps making every effort to reach a deal with Russia on the Syrian Aleppo, despite his soon stepping down. Kerry realizes that Trump may reach quite another type of agreement with Moscow, he may go the length of a deal which would leave the Syrian opposition to the mercy of fate and would place Washington squarely on the side of the president Bashar al-Assad. Among those efforts aimed at prompt achievement of an agreement with Russia on Syria phone talks between Kerry and his Russian colleague Sergey Lavrov are named, as they were carried out 2 times a week. Beside that, he has had negotiations on the issue with the US allies in Abu Dhabi this month and calls to engage Saudi Arabia, Qatar, Turkey and even Iran in negotiations. Meanwhile, the Syrian government troops have significantly advanced for the last two days towards eastern areas of Aleppo. Most of buildings have been liberated from Jabhat al-Nusra and other terrorist gangsters. 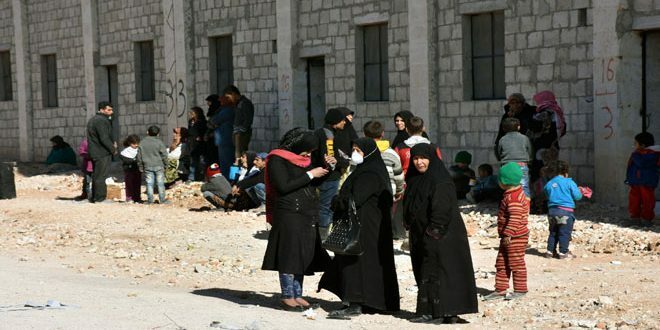 Thousands of civilian residents have been withdrawn from combat areas with the help of the Syrian Arab Army and its allied forces on the ground. Kerry is in panic, as the rest of ‘cannibals’ of the Obama’s administration. 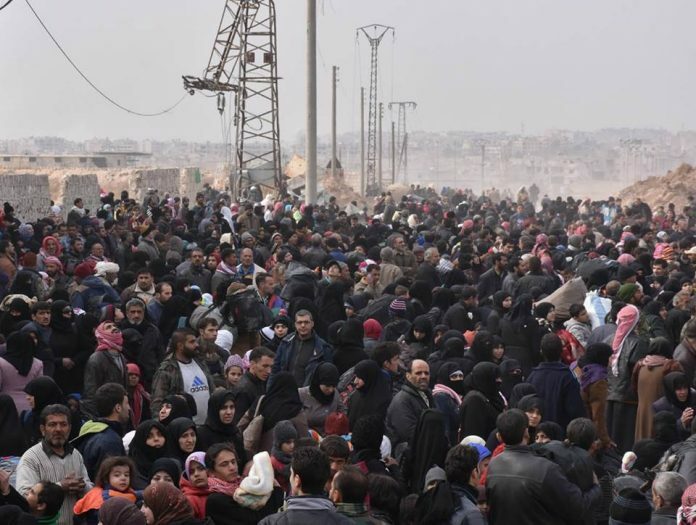 They are leaving East Aleppo by the thousands. Some estimates are putting the number of citizens now under the protection of the Syrian Army at over 3,000. Half of the number is children leaving with their parents. Of interest to all of you is the fact that 180+ rodents have taken advantage of secure corridors to depart East Aleppo for Idlib. Based on information from our sources, all the escaping rodents are Syrians. No such permission has been given to foreigners. Any foreign terrorist attempting to leave will be arrested and executed on the spot. This is especially true for Saudi Arabians, Qataris and other forms of simian trash. AL-BAAB: The Syrian Army is only 5 kms now from the frontier town of Al-Baab. This will be a watershed moment in the history of this conflict in that it will bring the Turkish Army and the Syrian Army into possible direct confrontation. At a minimum, it will pit the Turk-supported terrorists of the FSA against the SAA. If, as I suspect, the FSA is destroyed, it might bring in the Turks to save them. Once this happens, Russia will intervene on Syrian soil essentially barring NATO from any excuse to assist Ankara. As of right now, the SAA is supported by the YPG. The army is at Tal ‘Unayb and Sha’aala moving toward Irziq which overlooks Al-Baab. Another report informs us that the SAA is only 1km away from forces aligned with Turkey under the title of “Euphrates Shield”. This morning I received a report that the Syrian Army has faced off with the Turk-supported Turkestaani militias and the “FSA”. This is taking place at a village called Al-Azraq (northwest of Al-Baab) which is viewed by all sides as critical for the liberation of Al-Baab. The PYG is very much involved with the SAA. The PYG has wrested control of a village called Allooshaa from the FSA yesterday near Manbij. The SAA reportedly now controls the following villages, all conquered during the last 10 days: Baabinis, Tal Shu’ayr, Haleessa, Al-Shaykh Kayf, Jawba, Nayrabiyya. Al-Shaykh Sa’eed: Another important Aleppan base for the terrorist rodents was liberated this morning by the Syrian Army. Al-Shaykh Sa’eed saw its last vermin leave last night abandoning all fortifications and arms caches. Al-Jawlaani seen smiling in this picture. He’s not smiling today. The leader of the terrorist Alqaeda franchise in Syria, Abu Muhammad Al-Jawlaani, (real name: Usaamaa Al-‘Absi Al-Waahidi) is so terrified by the new developments in Aleppo that he is now defying Ankara’s goodwill by sending the second-ranking leader of the Nusra group to Al-Raqqa to meet with agents of ISIS. The purpose of sending Abu Maariyyaa Al-Qahtaani is quite obvious: he wants to bury the hatchet and begin a new era of cooperation with ISIS in order to preserve what he has left of his cannibal criminal group. There are no hints yet as to what the emissary has accomplished and we don’t know what position ISIS has staked out as far as leadership is concerned. What we do know is that both groups are on their way to oblivion. It appears Al-Qahtaani traveled from Turkey by way of the village of Qasr Ibn Wardaan in Homs, a place conquered by ISIS after ejecting Jund Al-Aqsaa from it about 3 months ago. From intercepted communications between the groups, it appears ISIS gave assurances that the second-ranking leader would not be harmed by ISIS. With planning going on apace in Damascus, the SAAF is preparing the way for a massive assault on Hama and Idlib. As we reported months ago based on exclusive information from our sources, 10,000 Afghan and Iranian volunteers are in position to descend down into the Waadi Al-Ghaab to take back Jisr Al-Shughoor. The only impediment now is the village of Kobaani which the Turks are desperate to hold at all costs. During the last 4 days, the SAAF has struck Mork, Sukayk, North Sooraan, Khaan Shaykhoon, Al-Tamaani’a, north Abu Dhuhoor. 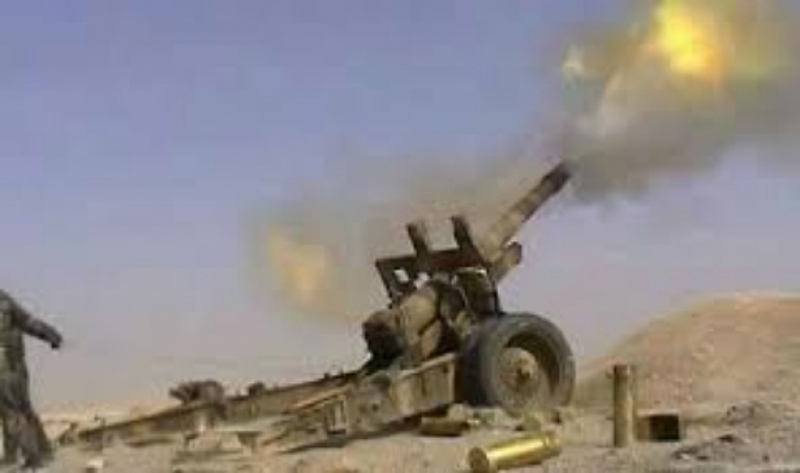 Reports are that many Jaysh Al-Fath leaders have been killed in the aerial attacks with scores of vehicles destroyed and fortifications brought down. DAMASCUS: ZIONIST AIR ATTACK HITS NOTHING. 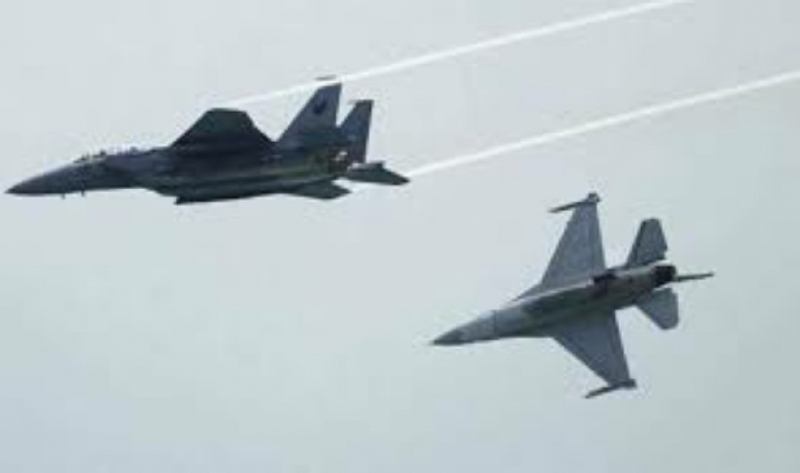 This Wednesday morning, Zionist aircraft flying over helpless Lebanon, fired four rockets at the village of Sabboora causing no damage and destroying nothing. Syrian news reports speculate that the attack was meant to buttress the failing morale of Zionism’s major Islamist ally, Nusra/Alqaeda, which is now seeking an alliance with ISIS, as we wrote herein-above. The Zionist press claims the attack was on a weapons delivery to Hizbollah. تشوركين: الجيش السوري حقق نصراً معنوياً بحلب.. تشوركين: روسيا تشترط فصل إرهابيي “جبهة النصرة” عن “المعارضة” لوقف الأعمال القتالية في حلب. On November 28, Jabhat Fatah al-Sham (formerly Jabhat al-Nusra, the Syrian branch of al-Qaeda) and its allies officially surrendered the western Ghouta towns of Khan al-Shih and Zakiyah to government forces. In total about 3,000 militants and civilians were set to be evacuated to Idlib province from these villages via green buses. 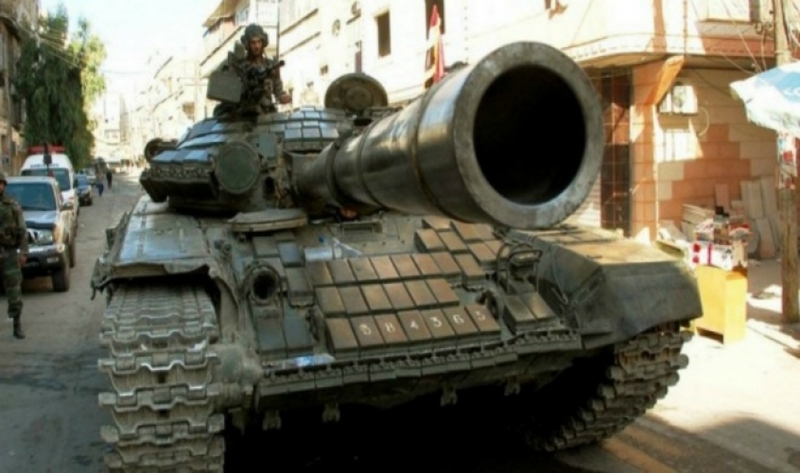 Militants had handed over at least two ZSU-23-4 Shilka guns and other military equipment the Syrian army. The army also keeps the option to split the remaining pocket into two, launching an advance in the direction of Aleppo Citadel. The control over strategic Police Hill in Marjeh allows government forces to launch such an operation. Government engineers are working to relaunch the water pumping station in the Suleiman al-Halabi Neighborhood that was liberated from militants yesterday. “Moderate rebels” had used the control over the station to cut off the water supplies to the local population of Aleppo, punishing people avoiding to support adherents of al-Qaeda-style democracy. When the station is relaunched, the water crisis in Aleppo will end. 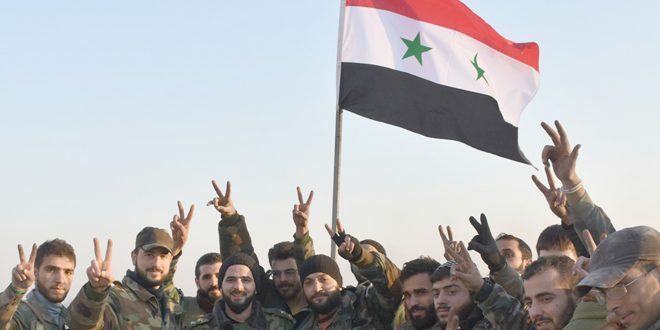 Separately, the Syrian army and the Kurdish YPG jointly waved flags over the highest building in the Bustan al-Pasha Neighborhood, confirming the recent facts of cooperation between two forces in Aleppo area. Following militants runaway from northeastern Aleppo, Kurdish YPG forces had entered some areas and filled the vacuum. Now, Syrian government forces and Kurdish YPG units have a joint-control over some points in Bustan al-Basha, al-Halek and Ayn al-Tell. At the same time, the Syrian army and the Kurdish YPG advanced against Turkey-led militant coalition east of Aleppo city and captured the village of Azraq from it, deploying roughly 5km from al-Bab. With recent reports about airstrikes on the Turkish military by the Syrian Air Force in northern Syria and ongoing heavy clashes between Turkish forces and YPG units east of al-Bab, the army-YPG advance in the area delivers a major blow to Ankara’s hopes of military expansion in the war-torn country. In other case, this could lead to further military escalation if the Erdogan regime decides to deploy more military force to achieve its goals in Syria. In the past few days the “Israelis” faced one of the worst brushfires in the Zionist history. Nearly a thousand hectares of forests and rural areas have been destroyed in the illegal settlements of Zichron Ya’acov, Neveh Shalom, Modi’in, Neveh Ilan and Nataf. 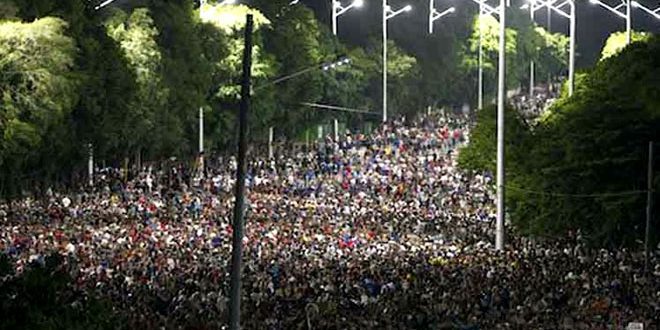 Tens of thousands were evacuated from their illegal places in the Haifa area alone. “Israel’s” under-staffed firefighting forces were confronting day and night to stop the flames from spreading. Meanwhile, firefighters and equipment from abroad provided important backup. What were to happen if “Israel’s” emergency teams were forced to deal with a large-scale brush fire while facing a missile offensive launched by Hizbullah from southern Lebanon?, the Jerusalem Post wonders. According to the paper, this is not a far-fetched scenario. Depending on the season, a barrage of rockets and missiles landing in the occupied territories could easily spark a major brushfire bigger than the one that spread across the occupied lands over the past few days. If Katyusha rockets landed in dry brush after a long period of drought at a time of high winds, they could easily ignite huge fires. Speaking last week at The Jerusalem Post Diplomatic Conference in the occupied city of al-Quds, Brig.-Gen. Ram Yavne, head of the Zionist army’s Strategic Division, warned that one-third of Hizbullah weapons are stashed in or under private homes in Shi’ite villages in southern Lebanon, the JP went on saying. …”Israel” should prepare for a scenario in which it receives no help from the international community in extinguishing fires caused by Hizbullah rockets. The fires of the last few days were a humbling reminder that, even under ideal diplomatic conditions, with “Israel” receiving support from abroad for its firefighting efforts, a large-scale fire can cause major damage. 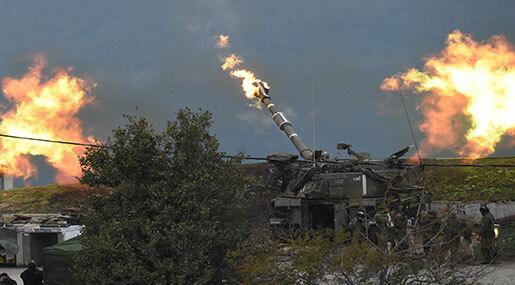 “Israel” must begin preparing for a situation in which international aid is not forthcoming and firefighting efforts are being carried out in the midst of a rocket “offensive” launched by Hizbullah, the JP concluded. Filed under: Hezbollah, IOF, Lebanon, Palestine, WAR, Zionist entity |	Comments Off on JP: Fires and Hizbullah! – إذا كانت سورية هي الساحة الحاسمة لحروب المنطقة، فاليمن هو بارومتر اتجاه هذه الحروب، حيث القوة الدافعة الوحيدة المتبقية لكبح فرص التسويات والتشجيع على مواصلة الحروب هي السعودية، وحجم الهمة وقدرة التحمل السعوديين يظهران في اليمن، ومن يدير ساعات التوقيت هناك هم قوى المقاومة التي يكتنف سيرتها الكثير من الغموض، فقلة كانت تتوقع لها هذا المقدار من الصمود، وقلة أقل وصفت صمود اليمن بمعايير فطرية للعزة وتحمل شظف العيش وتجاهلت القيمة المضافة لذكاء استراتيجي تظهره قيادة المقاومة في جناحها اليمني، أظهرته التكتيكات العسكرية في توقيت اللجوء للصواريخ الباليستية وتحمّل شهور قاسية وضربات مؤلمة دون وضعه في التداول، كما كشفه التعامل المتدرج مع المفاوضات بسقوف تتناسب مع الهدف المحوري لبلوغ الشراكة الوطنية الذي بدونه لا تسوية ولا حل، وذكاء إدارة البعد الأمني بربط وقف النار بوقف العدوان وفك الحصار، وحسن استثمار الحالة الحدودية في خدمة هذا الهدف. – عندما تشكل المجلس السياسي اليمني لتوحيد جهود أنصار الله والمؤتمر الشعبي في كتلة سياسية تفاوضية تحسن إدارة شؤون الدولة كان معلوماً أن تشكيل الحكومة سيكون الخطوة التالية، لكن التأخر الذي رآه الكثيرون علامة ارتباك كان كما يكشف توقيت ولادة الحكومة اليوم، ترتيباً للتوقيت، فالذهاب لاستيلاد الحكومة اليوم يأتي بالتزامن مع تقدير نضج السعودية للخروج من الحرب، وما يستلزمه ذلك من قبول بسقف مغاير للطموحات السعودية، عبر عنه قبول الرياض بمبادرة وزير الخارجية الأميركية جون كيري بداية، وتالياً القبول باتفاق مسقط، لكن مع وقف التنفيذ بانتظار نضج جماعتها اليمنية لتقبل الخسائر في صيغة الحكم من جهة، وانتظار مستقبل الحرب في حلب حيث يستخدم السعوديون التصعيد في اليمن أملاً بتخفيف الضغط عن حلب، ما يعني مع انتقال منصور هادي إلى عدن من جهة، جهوزية تفاوضية لاستقبال المبعوث الأممي، وما يعنيه من جهة أخرى انتصار الجيش السوري والمقاومة في حلب من زوال للحاجة السعودية لتصعيد مكلف بلا هدف. – تشكيل الحكومة اليمنية في صنعاء يبطل مفعول خطوات منصور هادي حول المصرف المركزي ويعيد عالمياً فرصة التعامل مع الحكومتين بالتوازي، ويفرض بالمقابل مرجعية سياسية للجيش والأجهزة الأمنية العاملة في مناطق سيطرة الحكومة الجديدة يبطل الحديث عن إجراءات أمنية صرفة تتحدث عن تسليم سلاح وانسحاب، بل عن دمج جيش منقسم بين حكومتين، وبسط سلطة الجيش الموحد على كامل البلاد، والأصل حكماً سيكون حكومة موحّدة تأتي بحاصل حل الحكومتين واستيلاد حكومة جديدة أو يدمج الحكومتين وإعادة توزيع الحقائب في الحكومة الجديدة، وفقاً لمعادلة تقاسم السلطة بعد الاتفاق على رئيس مؤقت ورئيس حكومة جديد للمهام الانتقالية قبل الانتخابات على أساس دستور جديد تتولاه الحكومة الانتقالية. – ذكاء التوقيت نصف الإنجاز. WASHINGTON, Nov. 28, 2016 /PRNewswire-USNewswire/ — The director of the Institute for Research: Middle Eastern Policy (IRmep) today asked a federal court to block pending foreign aid payments to Israel while a case examining its legality is litigated. The motion for a preliminary injunction (PDF) seeks to immediately block $3.1 billion in foreign aid plus various other supplemental appropriations destined for Israel from leaving the U.S. Treasury Department. According to the lawsuit, filed in August and amended in November, 2016 (PDF), U.S. aid to Israel is illegal because it violates longstanding amendments to the Foreign Assistance Act of 1961. The Symington & Glenn amendments ban or subject to mandatory waivers U.S. foreign aid to countries with nuclear weapons programs that have not signed the Nuclear Non-Proliferation Treaty. On September 14, the Obama administration committed to providing $3.8 billionper year to Israel over ten years. This secret “memorandum of understanding” replaces an expiring MOU signed by the Bush administration. The lawsuit also demands that a gag order passed by the Obama administration in 2012 prohibiting federal employees and contractors from discussing or releasing government information about Israel’s clandestine nuclear weapons program be overturned. U.S. government officials, most recently U.S. State Department Spokesperson John Kirby, struggle to comply with the gag order whenever reporters ask about Israel’s nuclear weapons. The plaintiff has asked to present various videos, including Kirby’s response to a reporter on September 19, in court as evidence. The decision to enjoin is up to DC District Court Judge Tanya Chutkan, who is handling a number of related plaintiff cases. IRmep won release of a Department of Defense report detailing Israel’s nuclear weapons infrastructure and quest for the hydrogen bomb in a 2014 lawsuit. In a separate lawsuit, IRmep’s plaintiff won release of files indicating that the CIA withheld information from an FBI investigation into the unlawful diversion of U.S. weapons-grade uranium to Israel. The lawsuit aims to “claw back” $234 billion in foreign aid unlawfully delivered to Israel since the laws went into effect. A public opinion poll cited in the lawsuit indicates most Americans would rather spend such funds on caring for veterans, education or paying down the national debt. An IRmep economic analysis reveals that Israel foreign aid generates far fewer U.S. jobs (7,000) than would spending on U.S. infrastructure (30,000).